One jacket for every occasion. It can be a tough decision at times: will a soft shell be enough for an alpine climb and a mountain tour, or do I need to take a hard shell along too? Mammut makes the decision easy for you, with their Ultimate Eisfeld SO Hooded Jacket Men made from elastic and breathable Gore® Windstopper water-resistant material to keep you dry even during surprise downpours or snow storms. 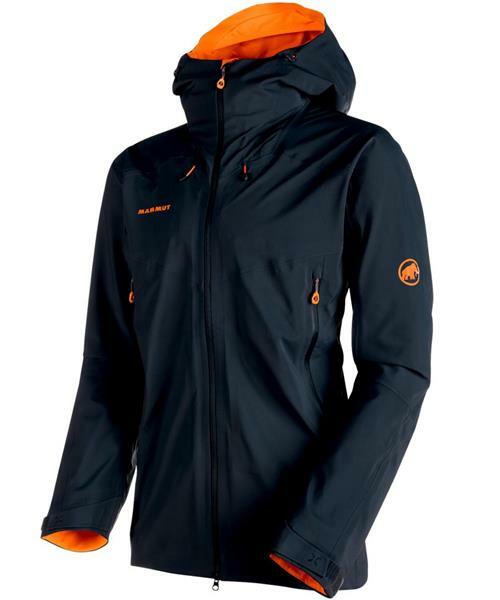 As well as being absolutely windproof, the innovative material is also highly water-repellent. Completely welded seams, a storm-proof, helmet-compatible hood that can be adjusted both vertically and horizontally, underarm ventilation and climbing harness-compatible external pockets are standard features in our jackets. To ensure the Ultimate Eisfeld SO Hooded Jacket Men is still sitting perfectly even after 14 pitches, we have also integrated our Mammut High Reach Technology™. So in changeable weather, you should have no doubt about which item you need to reach for in the closet.